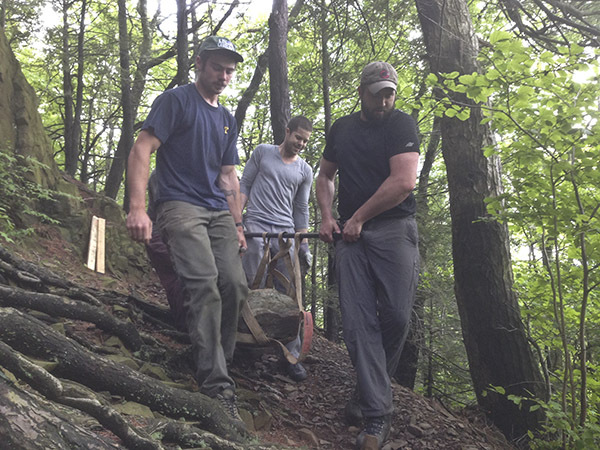 The Ragged Mountain Foundation's (RMF) Conservation Crew is dedicated to the preservation of Ragged Mountain as well as other climbing areas in Connecticut. Why? With only a small number of cliffs open to climbing in central CT, the more popular crags have seen heavy traffic over the years. The increased traffic creates erosion along their bases, damage to local floral and fauna communities, and can unfortunately lead to garbage accumulation. 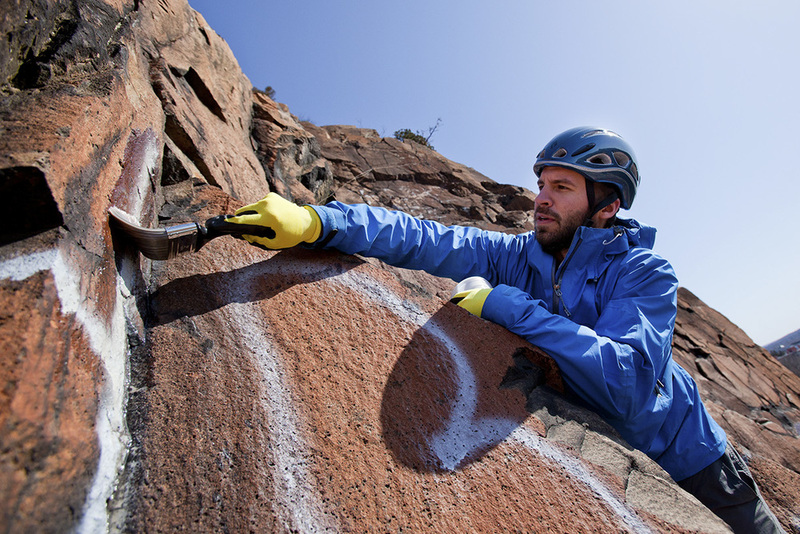 This is a challenge faced by a multitude of climbing areas across the country. In order to ensure future access, work needs to be done now to preserve this resource. In response to this dire need, the RMF has responded with the creation of the "Conservation Crew". Led by experienced conservation specialists, the conservation crew offers volunteers (like you?) 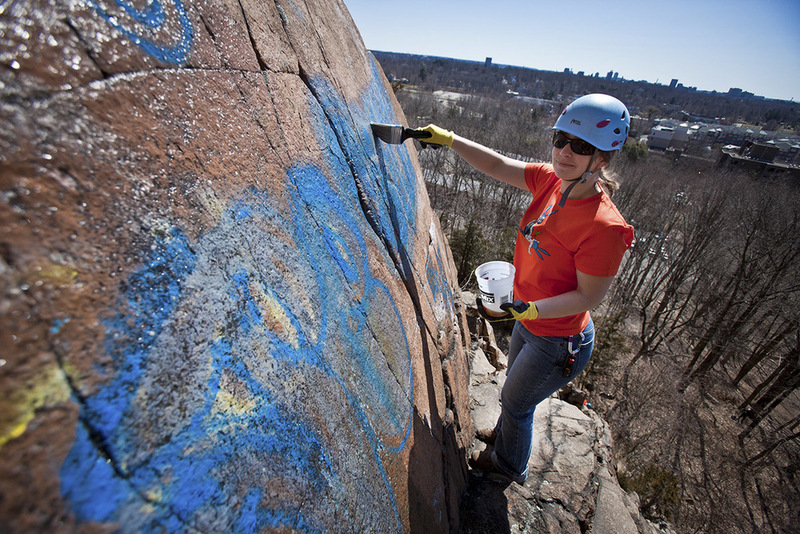 the opportunity to help ensure that climbing and hiking will be a viable activity around the state of Connecticut for generations to come. Please RSVP if you intend to help with any of our volunteer Conservation Crew cleanup or workdays. Please cancel via email message if you are unable to attend any workdays you have signed up for. Crew leaders are responsible for leading groups of volunteers on our various trail work projects and are willing to volunteer multiple days during the season. They are guided by RMF board member, local climber and certified teacher David Bocchichio. The goal for creating the Crew Leaders is to build capacity for continued conservation by having trained trail builders in the area. Volunteering for the RMF Conservation Crew involves strenuous work such as carrying heavy packs, moving large rocks and working on a steep, unstable hillside. Volunteer only if you are in good shape and do not have any physical limitations that would prevent you from heavy lifting and/or vigorous exercise. Although safety is our top priority, this work can be hazardous to your health - participate at your own risk. 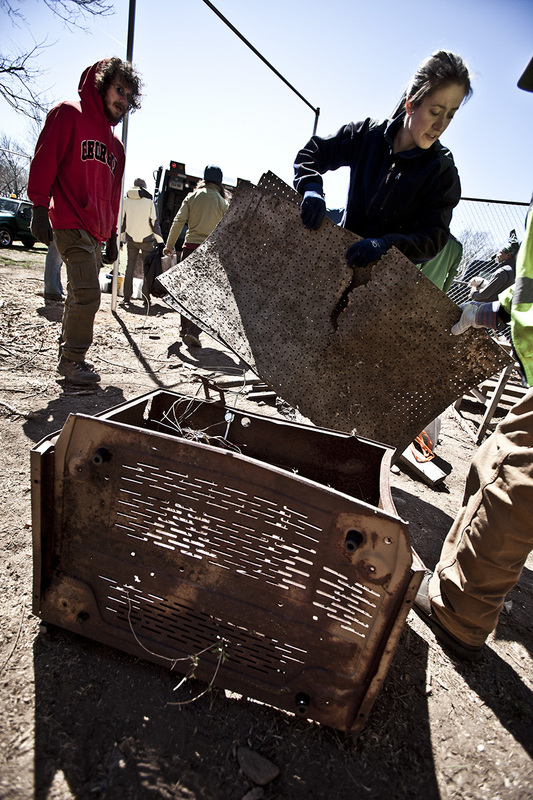 The Conservation Crew was made possible through a generous grant from REI. Please support the local retailers and businesses that support the RMF and local conservation initiatives. Images from RMF Conservation Crew cleanup efforts at Ragged Mountain (Southington), Pinnacle Rock (Plainville) and West Rock (New Haven).